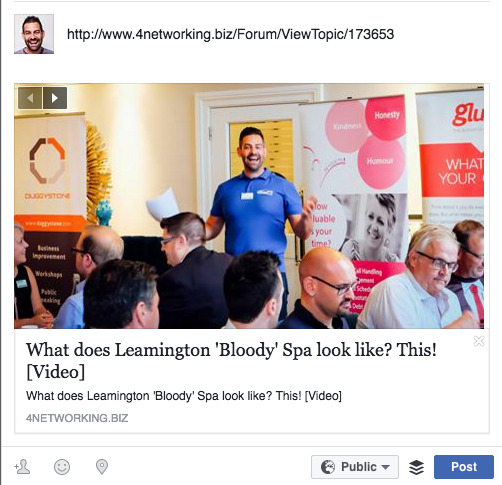 Facebook links now show really sweet image boxes that are totally linkable. They look great and are far more interesting in the feed. 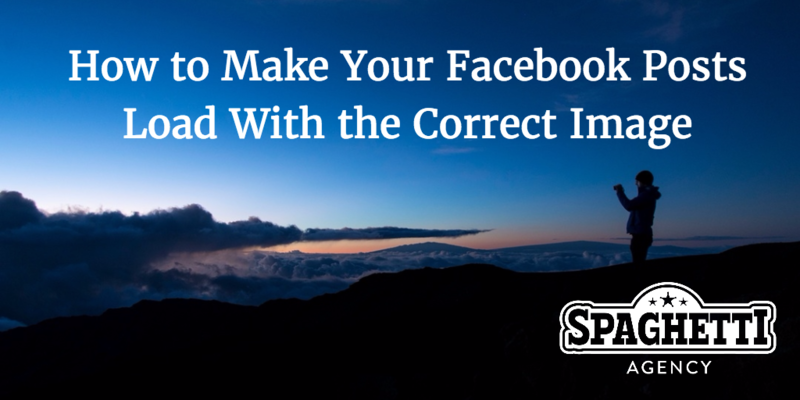 If you use the right images in your content and then share them on Facebook in a certain way, they’ll get more real estate on the timeline and you’re more likely to get people to click through onto your content. All you need to do to make this happen is to paste in your link into a status update and the box will appear. You’ll get a nice image, some text, and the whole thing is hyperlinked so whoever clicks on it is sent directly to the content you’re linking. But your own content may not do this. 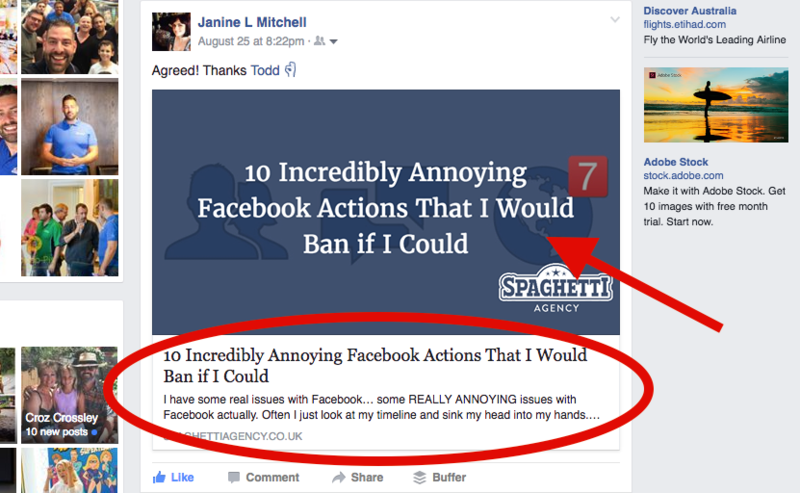 If your own content and blog posts look crap on Facebook then that’ll affect how many people click on your content and read your great posts. People are much less likely to bother, without an idea of what they’ll see when they get there. It all because of Open Graph data. 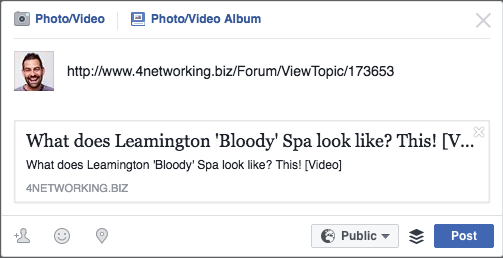 Facebook uses code from a web page to decide on the title, the image and the intro copy. 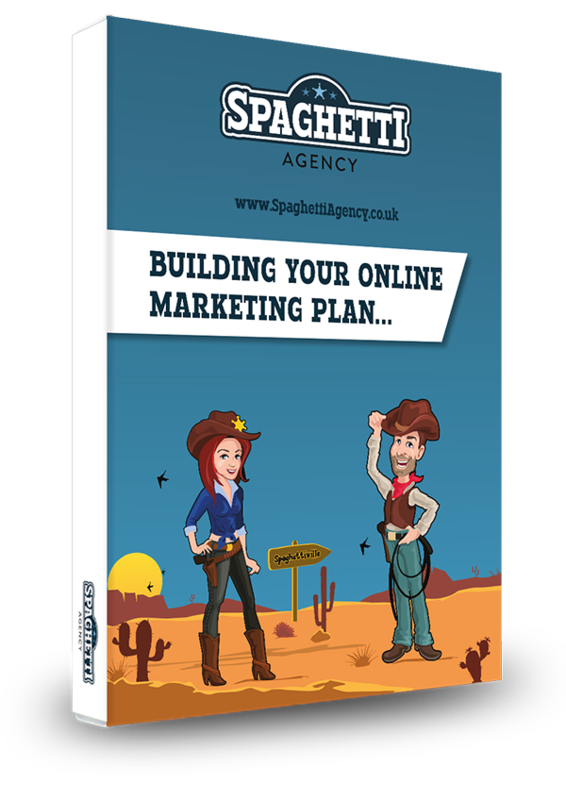 If you don’t do anything then it often chooses content from your page title and the first few lines of your content… and it might choose an image if there is one. Most websites are built in WordPress these days so I’m going to assume you have WordPress although most sites will allow you to show Open Graph data really easily. Most WordPress websites will give you the option to have SEO titles and descriptions and from what I’ve seen Open Graph pulls data from here if you do nothing else. WordPress also allows you to have a featured image. If you feature an image and do nothing else then Facebook will use the featured image too. There is a great plugin for WordPress called Yoast SEO which actually allows you to set the OG data too. So, if you’re really into this you can add that plugin and then adjust how your content looks on Facebook and Twitter. But what happens when you do all this and it still doesn’t work? What happened when you post on a forum and it doesn’t work? What happens when Facebook simply won’t load your image correctly? Welcome to the Facebook Debugger for Developers. The debugger lets you update Facebook’s OG data and show you what it will pull from your content. And now you should have a better link preview in the screen. A little tip here: When the content loads, simply delete the URL and the box is still linkable. It looks a lot smarter. I do this for every post I share on this blog and it’s also worked on other pieces of content too. 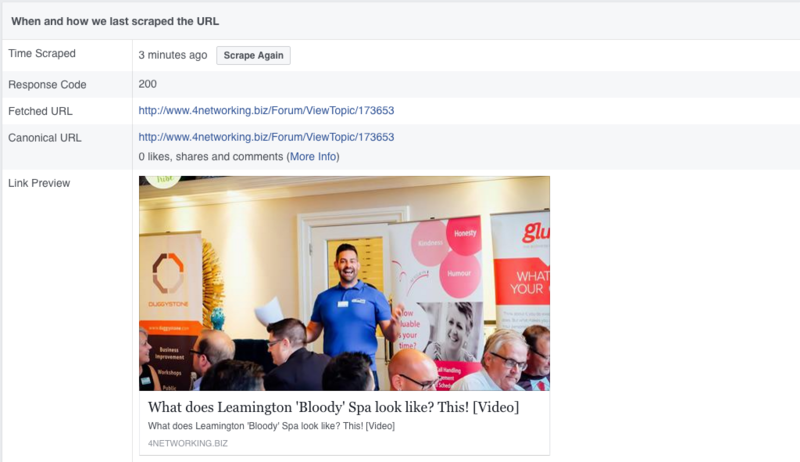 Providing the content has an image and the usual SEO title and description info Facebook can generally find the right parts. If your blog is not showing the image after all this you may need to contact your web developer and ask them why. HT to Edge of the Web on this discovery. This site was struggling with this issue until Sam Orchard shared the Debugger link with me. A very useful find (thanks, Sam!). 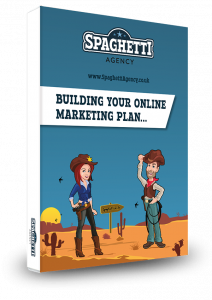 Ask the person who looks after your site for you and send them this blog! Hope that helps. It certainly gets more clicks of your content and it looks better when others share your content too. One last tip: Use a tool like Pablo or Canva to make your blog images look even more awesome. Images rock for click through rates!